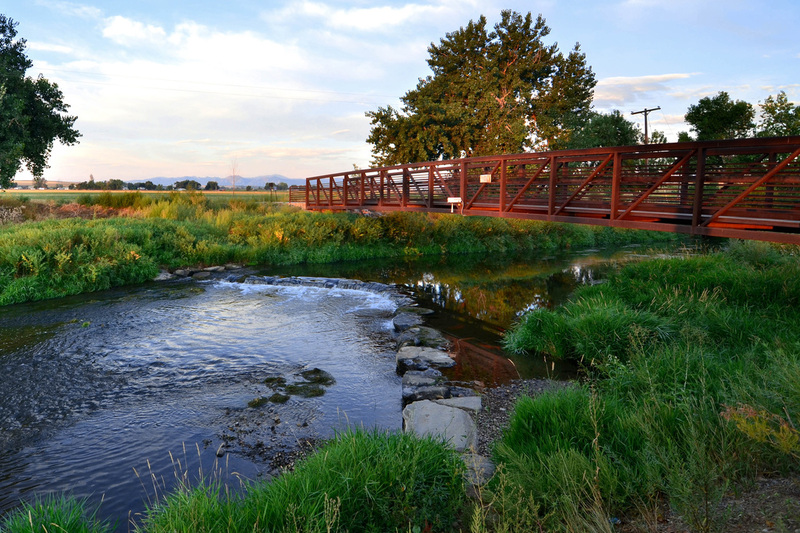 Confluent Design was retained by the City of Longmont to lead a multi-disciplinary team for Phase 9 & 10 of the St. Vrain Greenway, from Left Hand Creek to Sandstone Ranch Park. 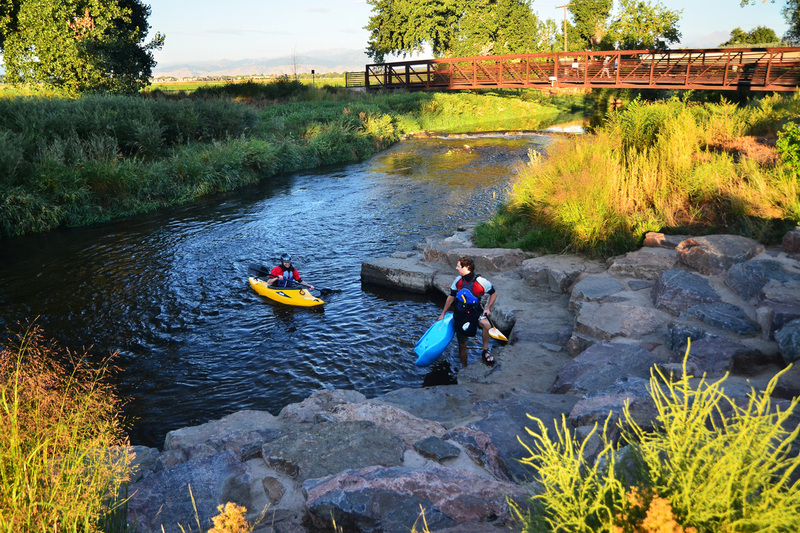 Scope of work included two trailheads with car and horse trailer parking; a custom restroom design; two custom site shelters; a 120-foot pedestrian bridge over St. Vrain Creek; a kayak takeout; signs and site furnishings; and native plantings and irrigation along a 2.5 mile regional trail corridor. 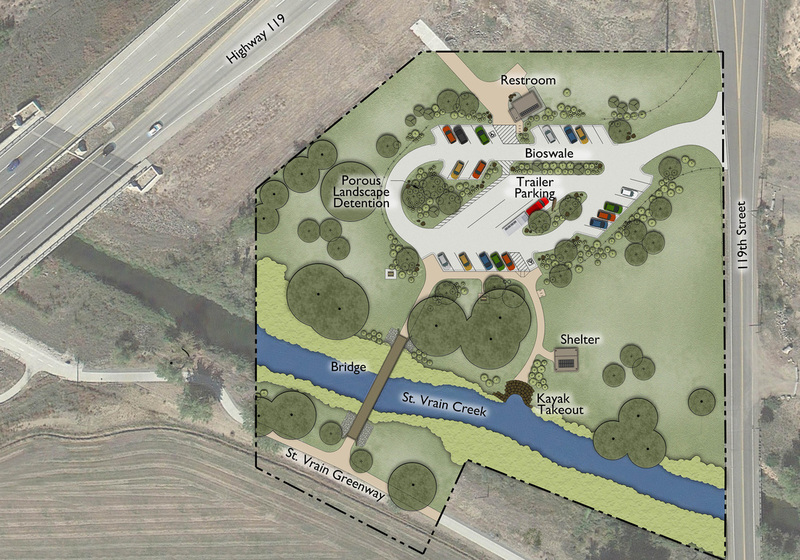 Low-impact design features included bioswales for water quality enhancement and infiltration, a native planting and seeding palette, locally sourced and recycled materials, and a building-integrated photovoltaic system. 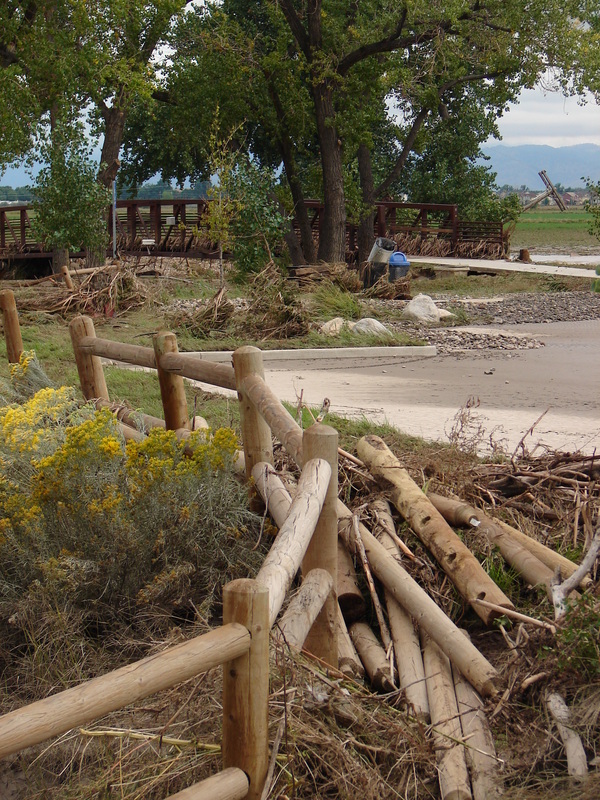 A waste management program was implemented to reduce, reuse, and recycle construction and packaging materials. 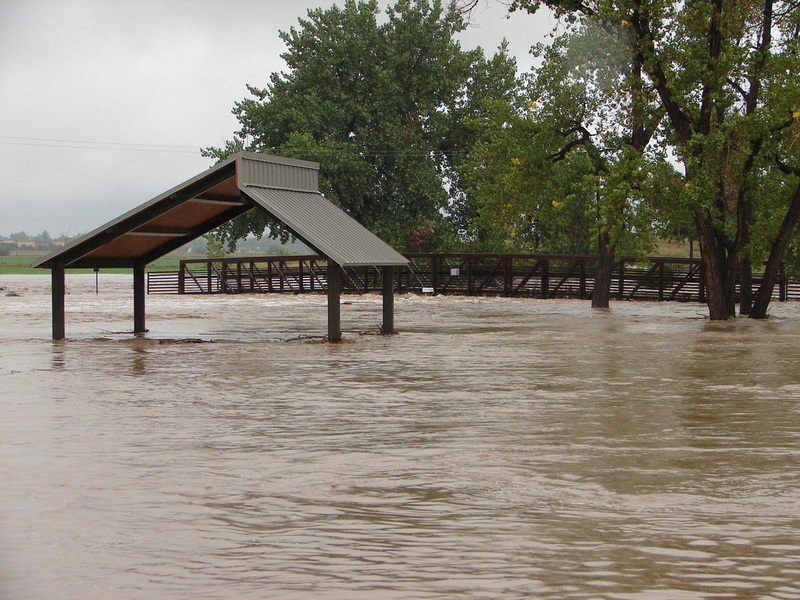 Services included floodway analysis and drainage design, environmental investigations, schematic design and design development, cost estimating, construction plans and specifications, construction observation, and project management. 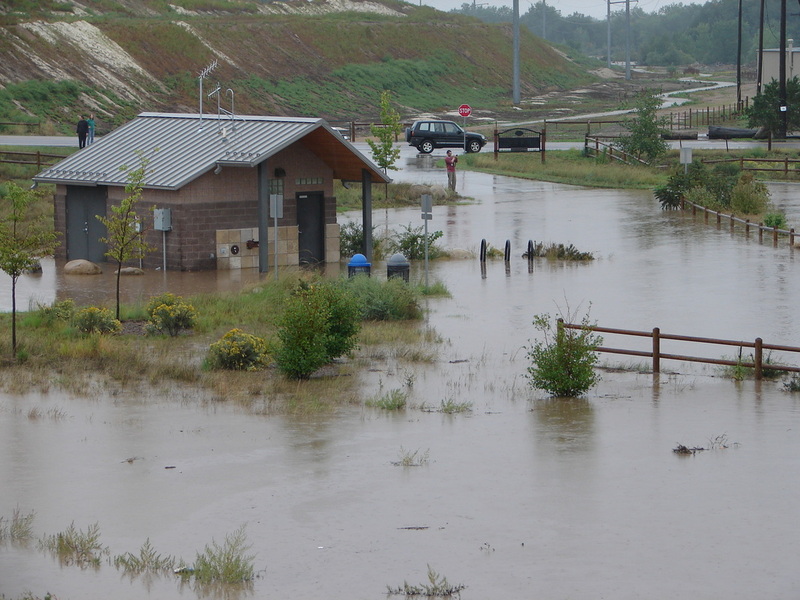 In early September 2013, several days of heavy rain caused severe flooding throughout the St. Vrain River corridor. The flooding inundated the 119th Street trailhead with several feet of water. 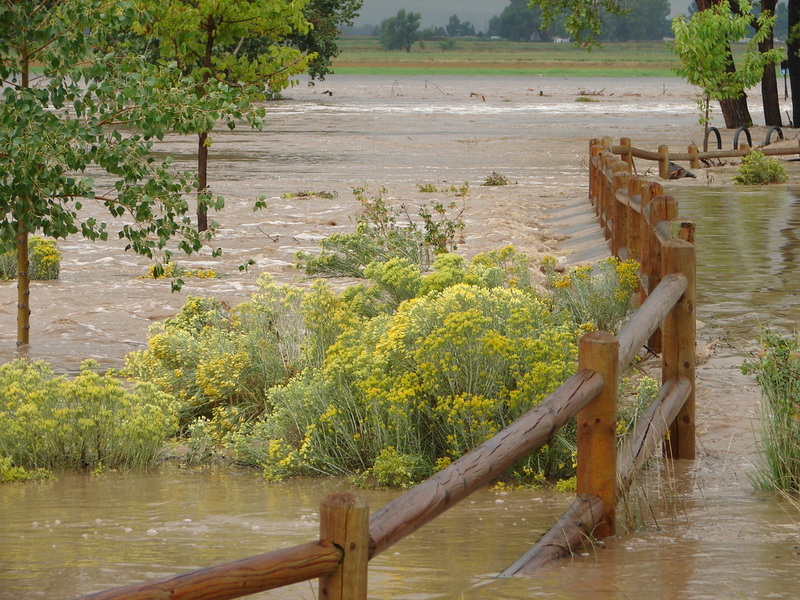 After the flood water receded it became clear that all major infrastructure was intact and only suffered minor or cosmetic damage, if any at all. 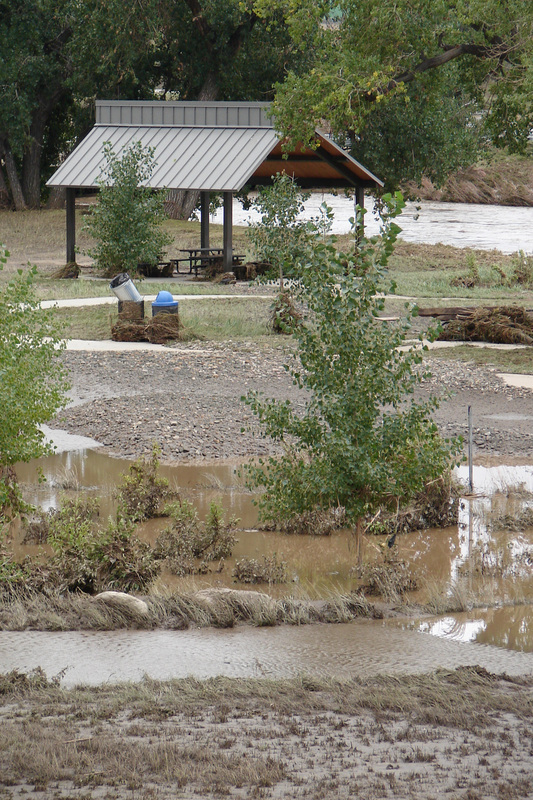 We believe the lack of significant damage to the trailhead infrastructure is testament to the value of thoughtful site planning and careful design that respects the land and surrounding natural systems.